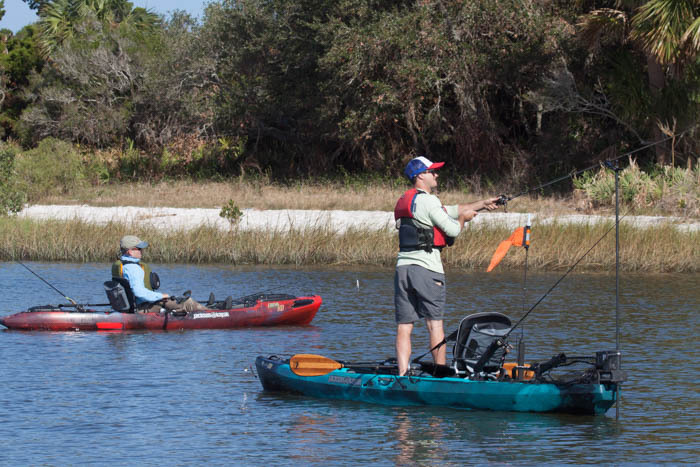 What’s small enough to carry on a kayak, waterproof, and presents enough information about kayak fishing Florida’s Big Bend to keep any angler occupied for many months? 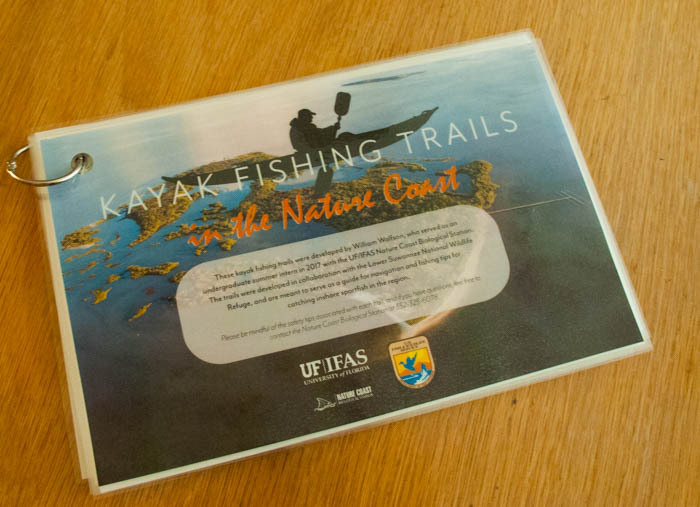 It’s the new guide to Kayak Fishing Trails in the Nature Coast, compiled by William Wolfson, a summer intern at Cedar Key’s UF/IFAS Nature Coast Biological Station. 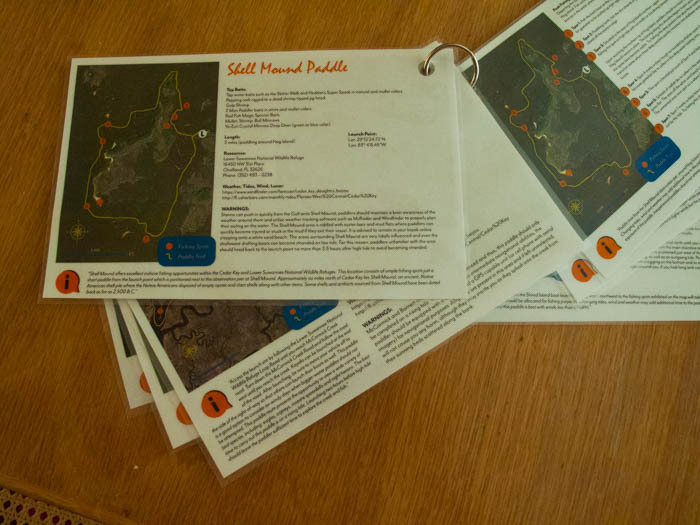 There are 6 paddling routes outline in this 6×9-inch laminated booklet, but it’s thoroughly annotated with maps, routes, fishing spots, as well as GPS coordinates. There are also recommendations peak fishing times, baits and kayak rentals in Cedar Key. The routes include Atsena OtieKey, Cedar Key Airport, McCormick Creek, Shell Mound, Suwannee River (Manatee Springs State Park to Camp Azalea) and Shired Island. While not available everywhere, there are hopes that they will soon be available online. For now, these guides are available upon request from the Nature Coast Biological Station (NCBS), located in downtown Cedar Key. We suggest to contact the NCBS in advance of your trip to the area for your copy.